Our Accor Advatange Card was about to expire so I decided to avail our free night certificate in Grand Mercure Shanghai Zhongya. I was tossing between Sofitel Hyland in the famous Nanjing Road and Grand Mercure Shanghai but chose Grand Mercure in the end due to better reviews in tripadvisor. We opted to upgrade our room to an executive room and got a sweet deal. The upgrade costed us only an additional of RMB 175 (~USD 28) per night which I think is well worth it. The value of additional perks like in-room wifi, buffet breakfast and executive lounge access for two are definitely beyond the cost of the upgrade. Personally, I think Grand Mercure Shanghai is bang for the buck! During the time I made the booking, the hotel is running a 50% off on their suites which you can easily snag at USD 120/night inclusive of tax. If not for the free night I have from my Accor card, I could have paid for a suite. 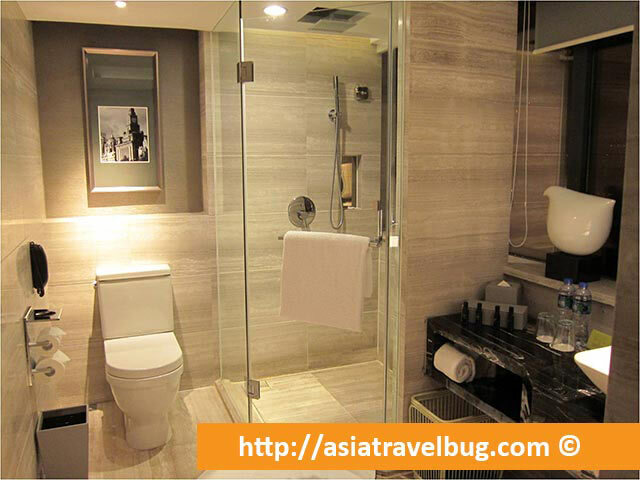 Grand Mercure Shanghai Zhongya is located in Zhabei district just behind the Shanghai Railway Station. So if you plan to have some day trips to Suzhou or Hangzhou, the location of Grand Mercure Shanghai will be very convenient. Even though there is not much happening within the hotel’s vicinity, going to tourist places is quite easy since the Metro Station Line 1 is just outside the hotel. In 3 metro stops for less than 10 minutes, you will already be in People’s Square. Although Zhabei district is not touristy, there are 24-hour fastfood restaurants and convenience stores nearby to help you get by. For a 4 star hotel, the decor from the lobby to the room is modern and beautiful. Front desk staffs are proficient in English. Beds are soft and have 400 thread count sheets. The only gripe about my stay is that we were given a smaller room than what I’ve expected especially that I’ve paid for a room upgrade. This could be the downside of arriving past 12 in the midnight when all better rooms have been allotted for during day time. Our room is located in the corner of 23rd floor. I think one lesson learned here is to request for a room which is not in the corner if staying in this hotel. It is also important to know that the air-conditioning system is centralized and the room temperature can be warm during an unseasonably warm winter. There is a working table on one side. This is the view from our window at night. We are able to see Courtyard Marriott across. Zhabei seems to be a secondary business district and the area is dotted with quite a number of hotels. The bathroom is compact yet very functional. 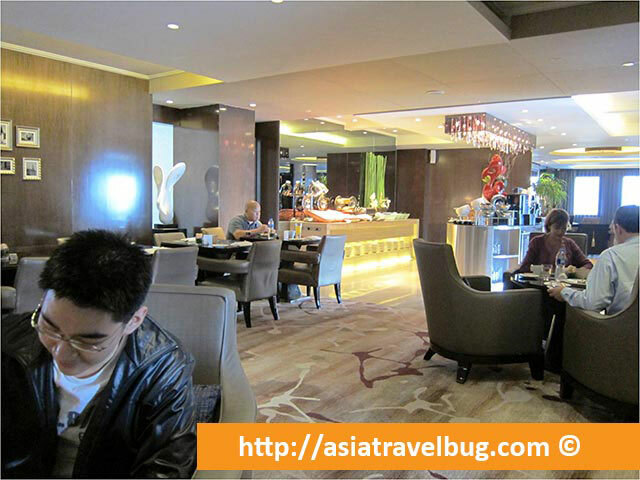 The executive lounge in Grand Mercure Shanghai Zhongya is one of the most spacious lounge I’ve seen in 4 star hotels. Apart from the dining area, there are a number of cozy nooks in the lounge where you can read magazines or browse the internet. The executive lounge also offers happy hour from 5 to 8pm when light snacks and drinks are served. Too bad for us, we arrived from the airport too late. We opted to take our buffet breakfast in the main restaurant due to bigger buffet spread. The food quality in the main restaurant was good with wide spread of Chinese and Western cuisine but there is nothing really remarkable. For the price of this hotel, brand new rooms, excellent lounge and service meeting expectations, I just cannot complain. Overall, I rate this hotel 4/5 stars. This hotel will probably be one of the good candidates to stay in Shanghai as a convenient hub for day trips to Hangzhou and Suzhou. 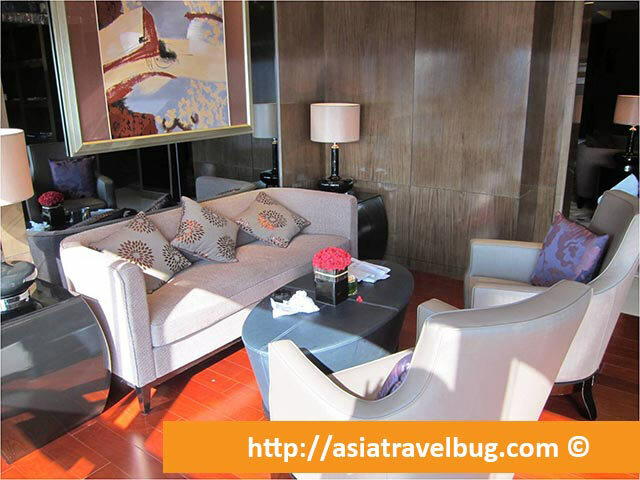 Interested to stay in Grand Mercure Shanghai Zhongya? Get the best prices from over 100 travel sites in one click here.